I read this article and found it very interesting, thought it might be something for you. The article is called Dark Air Cured Fronto Leaf [GR] and is located at https://www.frontoleaf.com/fronto-leaf/dark-air-cured-fronto-leaf-gr/. The Dark Air Cured Fronto Leaf [GR] is grown in America. These leaves are most popular for use as a cigar wrapper, binder or filler. 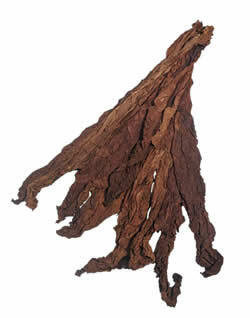 Fronto DAC leaves are smaller, darker and thicker in comparison to the Dark Air Cured [CLO]. 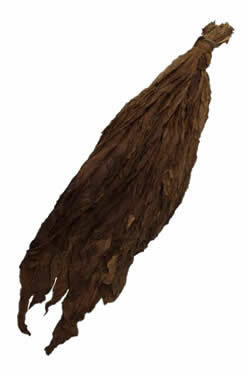 This type of Dark air cured fronto leaf is preferred in the Caribbean, and is called ‘Grabba Leaf’ [Jamaican terminology.] 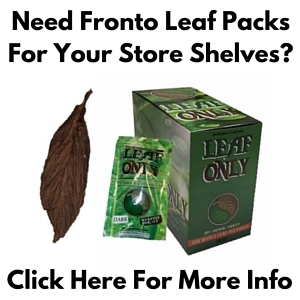 You can often find fronto leaf for sale at convenience stores in urban or metropolitan areas. Dark Air Cured Fronto has a mild chocolate and fresh green scent matching it’s natural aesthetic. Dark Air Cured Fronto leaves have a nice thickness and easy to handle. 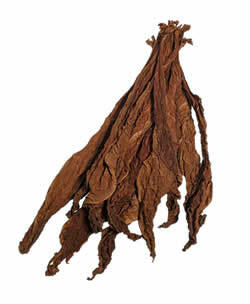 Fronto leaf is also called grabba leaf. This particular fronto leaf is famous for it’s strong / bold flavor profile. Even though this tobacco leaf is thick and a very strong smoke, it burns evenly, has a smooth taste and produces a clean ash every time. Dark Air Cured Fronto is for tobacco smokers with an acquired taste. * Dark Air Cured Fronto is unrefined, meaning you will find imperfections like holes, torn strips, and discolorations. Our whole leaf tobacco always arrives fresh, but it helps to know how to handle it upon receipt of shipment. To learn more watch our complete video tutorial about Handling & Storage of Whole Leaf Tobacco. Submit your best email below to gain instant access! The QB52 Fronto / Grabba leaf is one of the most popular wrapper leaves in New York City. The Dark version of the QB52 Fronto Leaf. Slightly darker than the QB52 Fronto Leaf, it's mostly used for 'grabba' because it is mostly not wrapper grade [S1]. 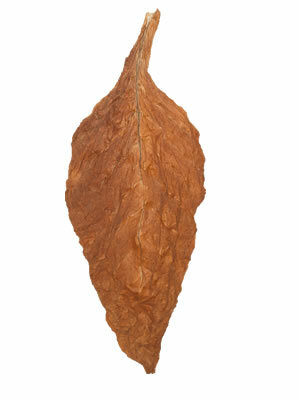 Connecticut tobacco is known for it's higher quality and the Connecticut Fronto Leaf meets that expectation. Dark Air Cured Fronto [GR] is perfect for grabba leaf use as it is dark and very strong. It is not wrapper grade, yet has quite a bit of usable leaf for 'wraps'. It also makes a great cigar binder or filler. Dark Air Cured Fronto [ALO] is also perfect as a 'grabba leaf', thanks to it's dark and bold properties. It's a bit less expensive than the [GR] because it's a slightly lower grade. Dark Air Cured CLO is grown in Canada. It is a top quality cigar wrapper leaf that can also be used for binder. It is significantly larger, but also lighter than the [GR] & [ALO] versions. This dark air cured fronto leaf [O] has a bold and beautiful dark color just like a maduro leaf, yet it has unforgettable dark red and brown tones which will surely darken more over time. These Dark Air Cured Fronto [LL] leaves have become darker over time thanks to the aging process. A popular 'grabba' leaf. These chocolate brown Aged Dark Air Cured Fronto [S1] leaves are aged to perfection, they are not 100% wrapper but are also good for 'grabba'. This is one of the darkest fronto leaves available. Thick and rubbery leaves that have a pungent, smoky fire cured flavor. Reminiscent of tobacco known as 'Red Herring' These leaves are huge! A lighter version of the dark fire cured fronto leaf. It is versatile, with many alternative uses other than rolling cigars or smoking traditionally, such as making chewing tobacco & snuff. 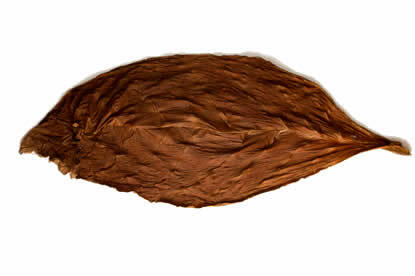 The Light Fire Cured (P) Tobacco Leaf is often described as a really nice ground between the Dark Air Cured and Dark Fire Cured fronto leaves that are also so popular with our fronto leaf customers. The Light Fire Cured (R) Tobacco Leaf is often described as a really nice ground between the Dark Air Cured and Dark Fire Cured fronto leaves that are also so popular with our fronto leaf customers.